The Everything Burger how simple is that? You got your slaw in as well. 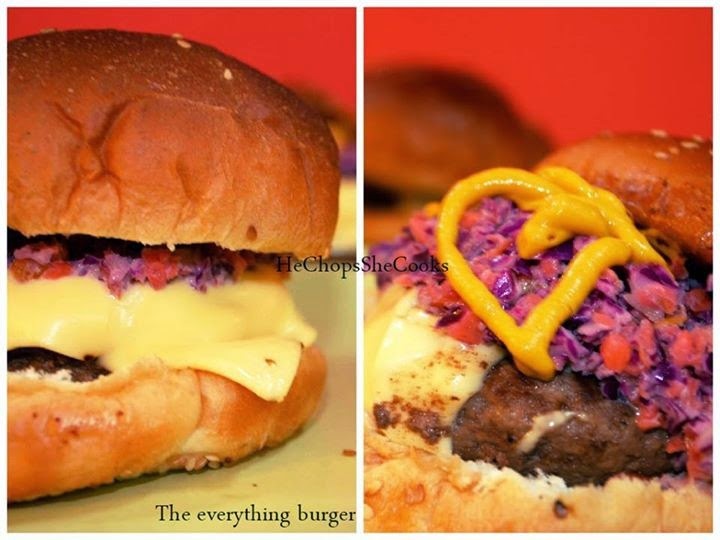 This cheeseburger includes pickles and coleslaw along with some of the more traditional burger sandwiches. This recipe I'm sharing today only take 30 minutes. For the first time I'm using the grinder with the help of my husband and dad for sure or else no dinner lol... Recently, when my husband bought me the Kenwood cake stand. We received this as a gift during the promotion. And seriously haven't tried it until today. 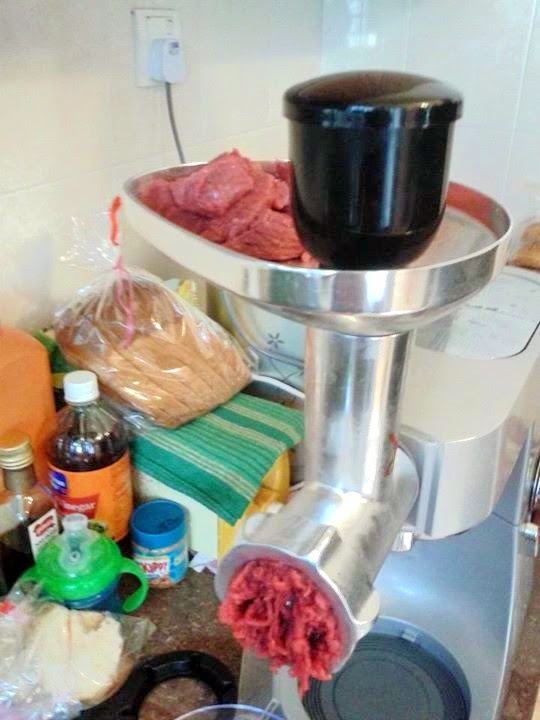 It's best to use tenderloin meat..it will cook your meat faster. 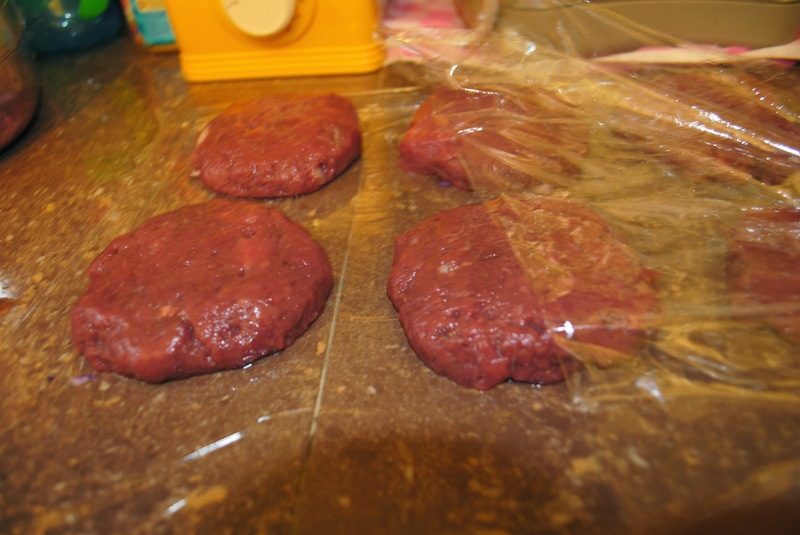 If you making your own patties make it double and wrap individually and freeze for up to 3 months. 1. Put the mince into a medium bowl with the salt and pepper and gently combine, then divide into 4 portions and shape each portion into a patty. 2. Place a ridged griddle pan over a medium-high heat and add enough oil to coat the base of the pan. Add the patties, partially cover and cook for about 4 minutes, without moving until they are brown and release easily from the pan. Turn, place a slice of cheese on top of each patty, partially cover and cook for a further 3 minutes. 3. Split the burger buns and spread with mustard and toast it in the pan to get the crispy mustard flavors on both halves of each bun and place a few slices of pickles, on each bun base. 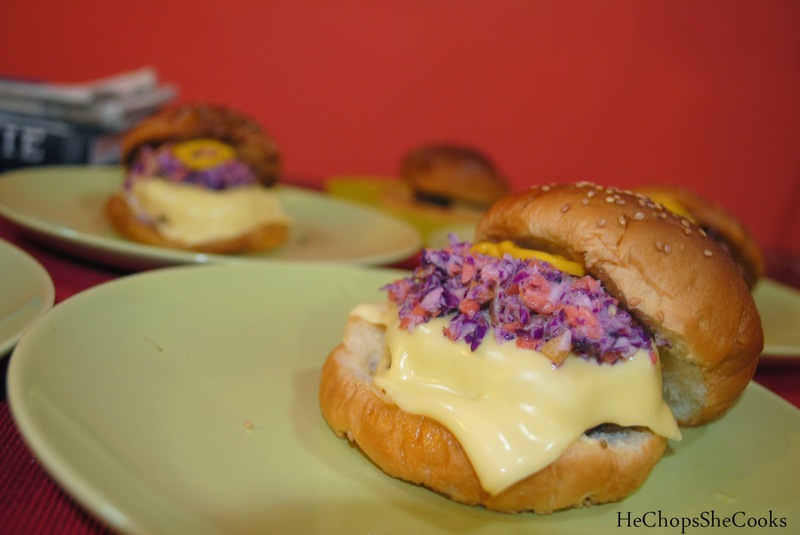 Set a patty on top each base, add some coleslaw and a tomato slices and serve immediately. Monu come over and join us! I can't comment on beef but I can comment that the burger is packed with deliciousness.